Today yes I was late on posting my picture. But as they say better late then never eh? So as for the third day of capturing December I took a pic of these lovely roasted peanuts, as there is red on the bag lol. 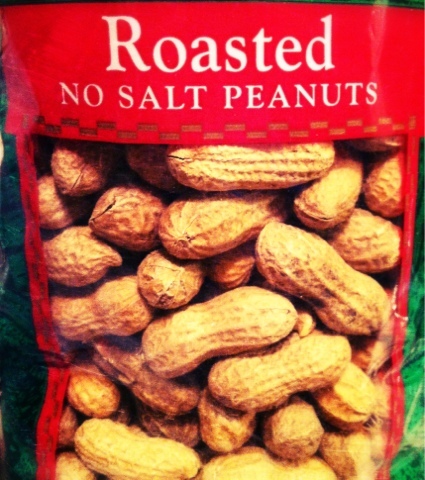 I remeber when I was little my mother always bought us peanuts, cashews, honey roasted, or salted etc nuts. She always seem to buy them more around Christmas. :) Well we saw these at harps and decided nommys nuts!! At least our peanuts are non salted though have to try our best to be healthy. Anyways ta ta for now!